Lawrence K. Fielden, holds a B.S. in Political Science as well as an MPA in Public Budgeting and Finance. He retired in 2006 after twenty-five plus years of employment in various administrative positions in the state and local government arena. Since retiring, he has devoted his time to the Masonic Fraternity and its charitable organizations. 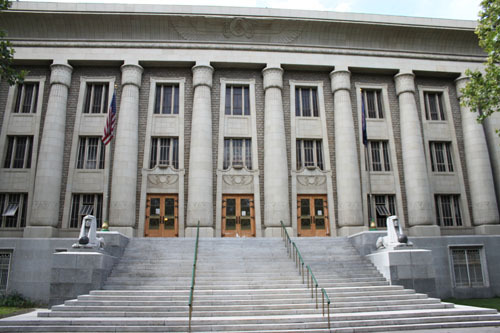 He served on the Board of Governors of Shriners' Hospital for Children, Salt Lake City for nine and one-half years, achieving emeritus status in 2011. During his time on the Board for Shriners Hospital he served in several capacities including Committee Chairmanships, Secretary, Vice-Chairman and Chairman of the Board of Governors. Larry was Initiated, Passed and Raised in Wasatch Lodge in 1982. He served as their Worshipful Master in 1994/5 and again in 1995/6. In 2006 he served as Worshipful Master of Uintah Lodge and served as Potentate of El Kalah Shriners in 2007. In 2008 and 2009 he served as Grand Treasurer for the Grand Lodge of Utah. 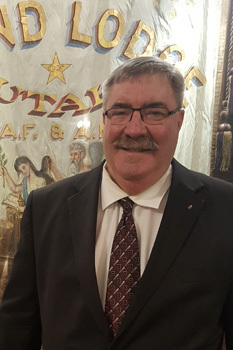 He is presently serving the Masonic Fraternity as Grand Secretary of the Grand Lodge of Utah since 2010, Secretary General of the Scottish Rite of Utah since 2008, Secretary of the Scottish Rite Foundation of Utah since 2008 and Secretary/Treasurer of the Masonic Foundation of Utah since 2010. He also currently serves as an ex-officio member of the Board of Directors of the Rite Care of Utah. He has also served on several Grand Lodge Committees including Fraternal Relations, Grievance and Appeals as Secretary, Masonic Youth, Joint Masonic Fraternal Relations Commission and Jurisprudence. He is a Past Associate Bethel Guardian, Past Associate Grand Bethel Guardian, Past Advisor Utah DeMolay, Salt Lake Chapter, Past Grand Chaplain for ISC DeMolay International, Past Worthy Patron of Lynd's Chapter OES. Larry lives in Salt Lake City with Tracie, his bride of more than 44 years. Both have been involved with local community activities and charitable organizations for their entire married life. They have one daughter, Danielle, who is the light of their lives and a Grand dog named Bella. to all Freemasons in our great State and where ever so dispersed. 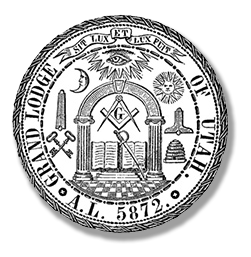 Please feel free to call the Grand Lodge office at (801) 363-2936. Monday through Friday, 9 AM until 4 PM.